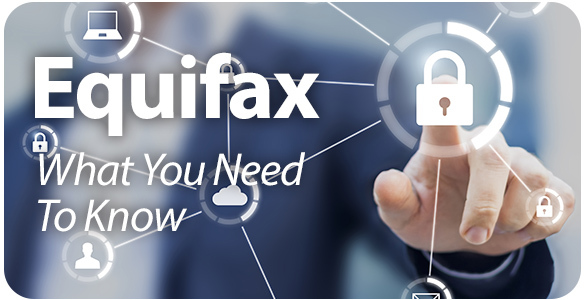 Visit equifaxsecurity2017.com and click the Check Potential Impact Tab. Enter your last name and the last six digits of your Social Security Number. 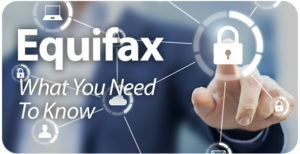 Equifax is providing one year of free monitoring protection through TrustedID for all consumers, even those not affected by the breach. After checking your potential impact, you will be given an enrollment date to return and sign up for the free service. TrustedID allows you to monitor your credit. It also provides identity-theft insurance and internet scanning of your social security number. We understand the importance of your personal information and want to make sure you know Sabattus Regional Credit Union is committed to keeping that information safe and secure. If you have additional questions for us, please call 207-375-6538. Identity theft occurs when someone’s personal identifying information, such as their social security number, is used without permission for criminal activity or fraud. The most common type of identity theft is Financial Identity Theft. Victims of financial identity theft often experience account fraud, loan fraud, credit and debit card fraud, and damaged credit. You or someone you know may be a victim of identity theft so it’s important to know the steps to protect yourself. Do not carry your social security card, birth certificate, or passport with you unless you will need it. Do not carry extra credit cards if you will not need them. Check statements carefully for any suspicious activity. Do not give out personal information over the phone unless you initiated the call and are confident that you are speaking to the appropriate party. If necessary, disconnect the call, verify the phone number and call your party back. Shred any documents containing personal information before discarding. Guard your mail from theft. Do not send mail containing any personal or financial information you’re your personal mailbox. Use a post office collection box or bring directly to the post office. Take advantage of your right to receive a free copy of your credit report annually. You can request your report at www.annualcreditreport.com. Look for any accounts that do not belong to you, inquiries for credit that you did not initiate, and any late payments on accounts that you’re not aware of. Avoid using passwords with names of family members or pets, birthdates, or any other information that a thief may be able to guess. Never share your passwords or PIN numbers. If you must write down your passwords, keep in a safe location where they cannot be accessed by others. Use a unique password for every system or website you access. Only provide personal financial information on a secure site. Be sure to keep all anti-virus, firewall, and anti-malware software up to date. Do business only with financial institutions and online merchants that you know and trust. Watch out for “spoof” websites that may try to look like your credit union or other financial institution. Make sure your home wireless network is secure. E-mail is not secure. Never e-mail personal financial information such as account numbers or your Social Security number. Never open attachments that you aren’t expecting. Do not click a link in a suspicious email. For comprehensive information on what steps to take, visit the Federal Trade Commission’s Identity Theft Resource Page at https://www.identitytheft.gov.